A. A punk underground nightclub, in 1982. A. In Episode 2, of Season 4, "You Smell Like Dinner". 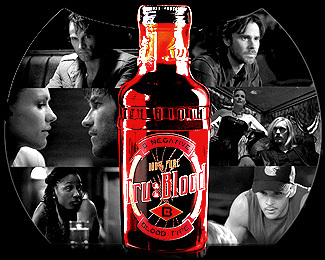 Bill has a flashback memory of the day he met Nan, of the American Vampire League. It in 1982, in London. We see Bill (sporting an earring, gelled hair and a leather jacket) walk into a noisy club, filled with mohawk-wearing customers gyrating to a punk band. 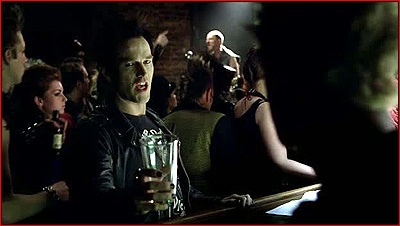 He approaches the bartender ('Callum') and strikes up a conversation. 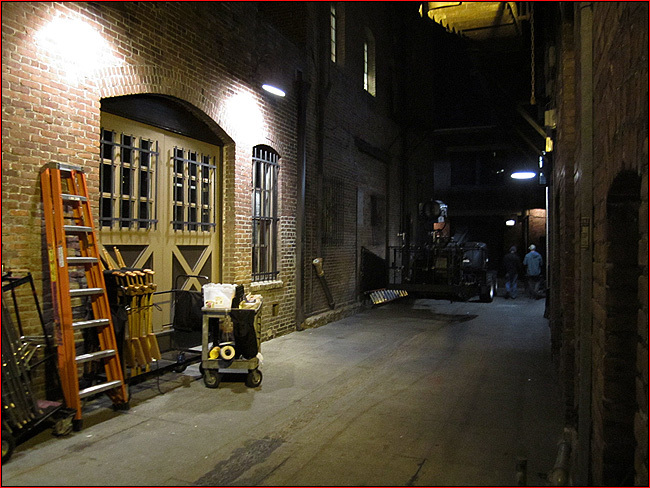 The scene cuts to the alleyway outside the club, where Bill has the bartender up against a brick wall, in the shadows, drinking his blood. When he finishes, Bill glams the bartender into forgetting it happened, and sends him on his way. Just then, Bill is surprised to find he's being watched. 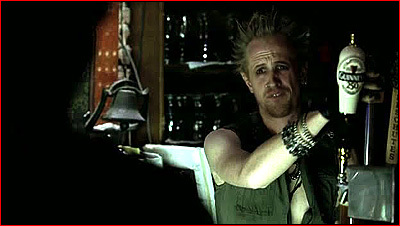 He is approached by Nan Flanagan, who remarks that he doesn't kill his prey. 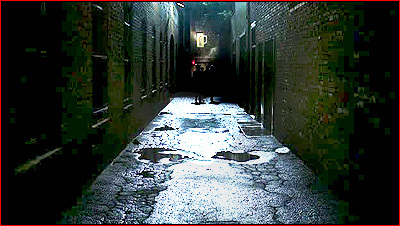 As they walk down the alleyway, she tells him she can introduce him to a powerful group of vampires who feel as he does, and who hope to blend into society - to "mainstream it". Bill thinks that is a pipe dream. But she tells him that vampire scientists ("including Louis Pasteur") are working on a solution, and are close to synthesizing human blood. He tells her that the vampire monarchs would crush them. She replies that she needs people like him to infiltrate the monarchies as spies for the AVL. A. A club / bar, and a nearby business. A. 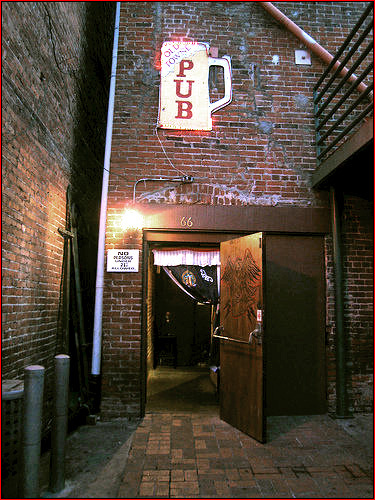 This is actually the Old Towne Pub, a small dive bar at 66 N. Fair Oaks Ave, in the Old Town section of Pasadena, CA. But you can ignore that Fair Oaks address, since it's not really on Fair Oaks. 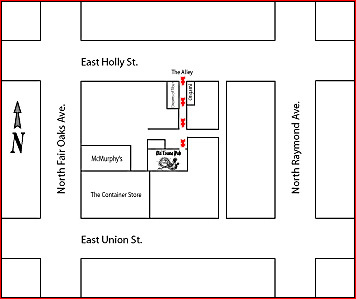 The pub is actually located down the alley from 23 E. Holly Avenue. Before you say "huh? ", understand that the pub is hidden away in the center of an old brownstone courtyard, mid-way between Holly Avenue (on the north) and Union Street (on the south). Fair Oaks Ave runs along that center's west side. The only way to get to the pub, is to walk down the alley off Holly Street. Look for a long, brick alley (called Aayes Alley) on the south side of Holly. You'll find the pub's door in the alley, on the right hand side. (This is a pedestrian-only alley. Don't confuse it with the larger 'Kendall Alley' for cars, just 100 feet to the east. 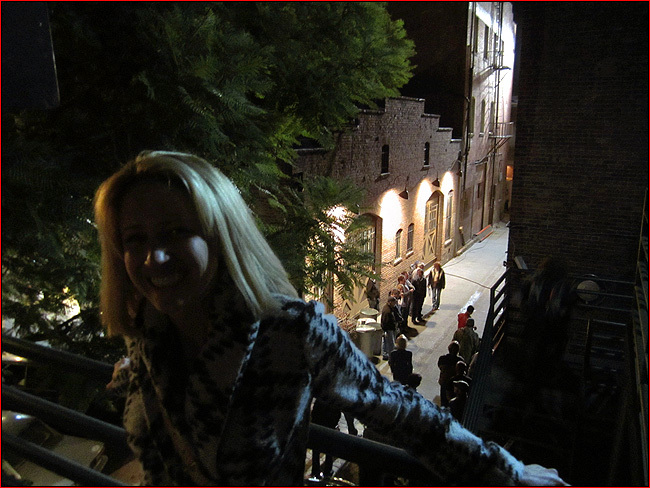 They like alleys in Old Town.) Look for the sign over the door, which is a large mug of beer. 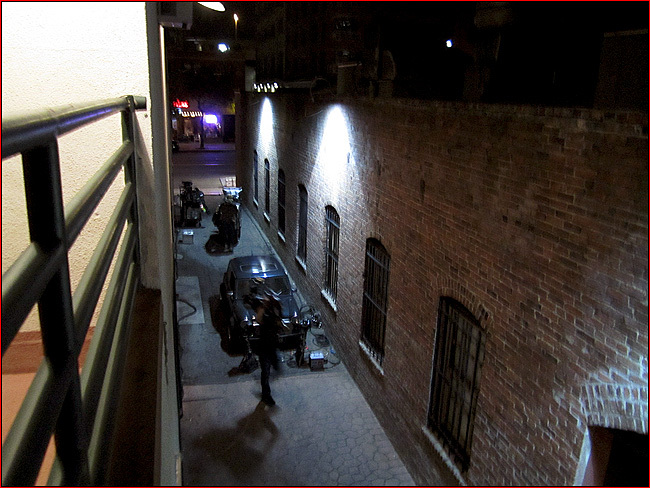 And here's a Google StreetView of that alley - looking south from Holly Ave.
To complicate matters, for the opening shot of the club's entrance (with Bill walking in), they actually used the back door of another nearby business (POP Champagne & Dessert Bar, at 33 E. Union Street). I believe that's because they wanted a shot looking straight north up the alley. A. I had seen the address on a Pasadena shoot sheet, in January of 2011, so I knew they were filming something there.